Story by Sean Beach. Photo from www.covenantdc.org. JAN. 23, 2018: On January 15, 2018, we celebrated the life and legacy of Dr. Martin Luther King Jr. Over the entire holiday weekend, there were many different ways that Dr. King was celebrated. One was a worship service at Covenant Baptist United Church of Christ and the 12th annual Parade and Peace Walk. 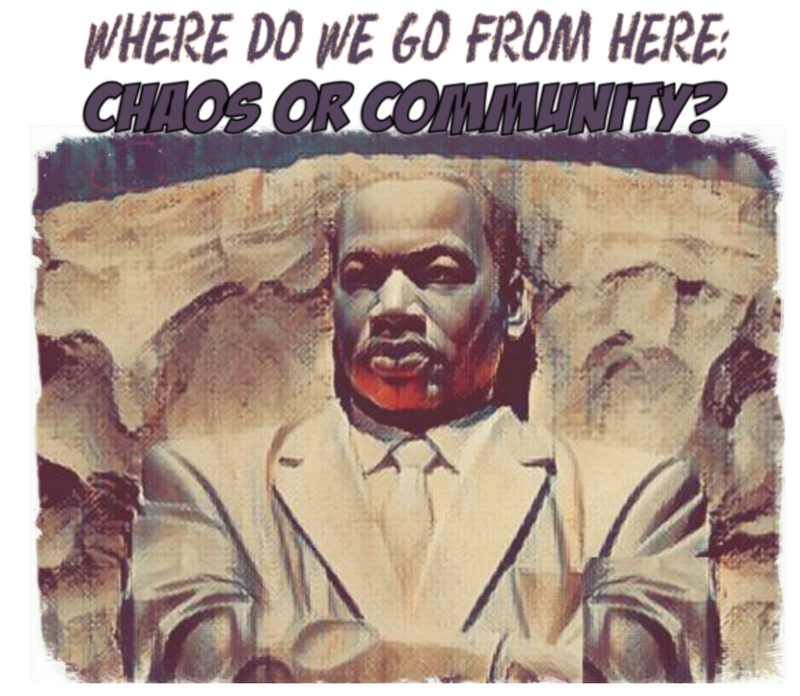 All of the celebrations had the theme of “Where Do We Go From Here: Chaos or Community?” based on Dr. King’s last book, “Where Do We Go From Here: Chaos or Community?”. So, Where Do We Go From Here: Chaos or Community? Many of you may be saying, “community”. But, if that’s really where you believe we should be going, why haven’t you been doing anything to help the community? And lately, there has been way more chaos in not just the United States but in the world. To me, it seems like ever since November 8, 2017, when Donald Trump was elected into office, there has been way more chaos than usual. January 20, 2018, will mark one whole year that Trump has been in office, and every day brings more and more chaos to this community. Sometimes, I wonder if people actually like chaos because people seem to wait until MLK Day or special events to protest or try to fix the chaos. Why are we waiting? I always hear people saying, “What would Martin do?” But are people doing the things that he did? Dr. King didn’t wait to protest or march. He got up and continued to protest no matter how tired he was. So again, what are we waiting for? Why aren’t we doing all we can to make sure that we limit the amount of chaos to ensure that we can become one community? Now that you’ve read this, think about where you want to go from here: “chaos or community”. What steps do we need to take in order to become a community? Any thoughts? Write them in the comment section below. Dear H&M, Are We Monkeys Now?